Fight on a new front and discover fresh combat possibilities as the first map in the Operation Cold Peak Co-op setting comes to Crytek’s Warface today. The “Spearhead” map introduces new enemies, new tactical options and intense winter warfare to Crytek’s free first-person online shooter for PC. Acting as the gateway to Blackwood’s Siberian stronghold, Spearhead throws experienced players straight in at the deep end as they attempt to secure a central position on the map and recover classified intel from the enemy’s network. To complete their mission, players will have to fend off waves of attackers dropped into the area by combat helicopter. For the first time, some Blackwood operatives will come equipped with jet packs, providing a new challenge for Warface Riflemen, Snipers, Medics and Engineers as they team up and try to survive. Also new to Spearhead is the possibility for players to complete secondary objectives that will earn them in-game currency – which can then be spent in real-time to deploy mines, build barriers and set traps that will help them to hold their position. Balancing their need for resources with the necessity of taking cover makes for nerve-wracking action every time players tackle Spearhead. 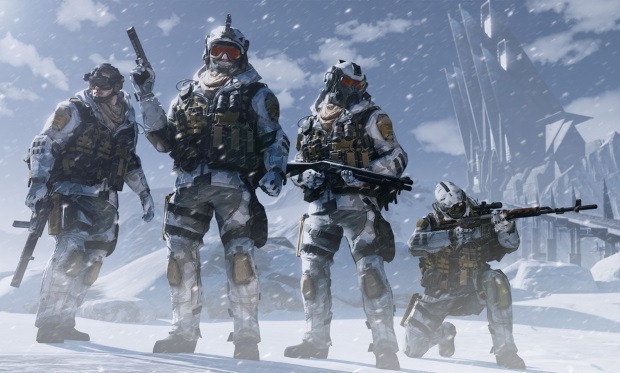 Spearhead is the first of three new maps coming to Warface as part of Operation Cold Peak. The second and third additions – Ambush and Zenith – are coming soon, and will challenge players to escape a deadly deception and bring the curtain down on Blackwood’s Siberian schemes.